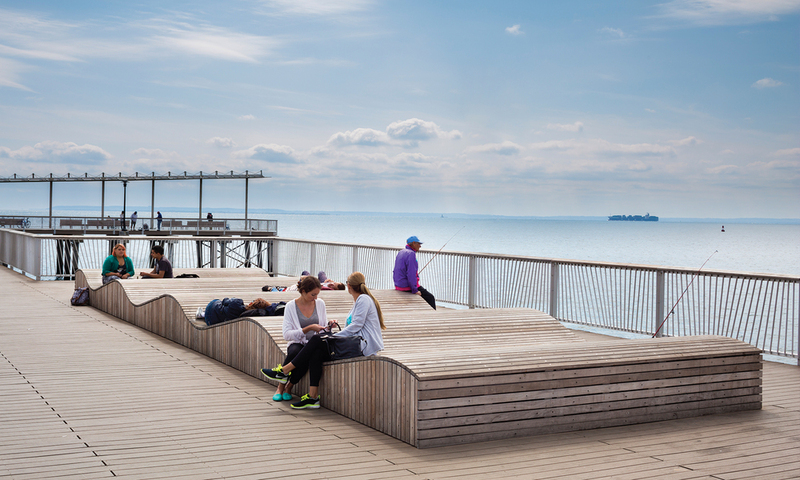 A series of new double-sided benches, allowing users to view either the water or the urban spectacle. 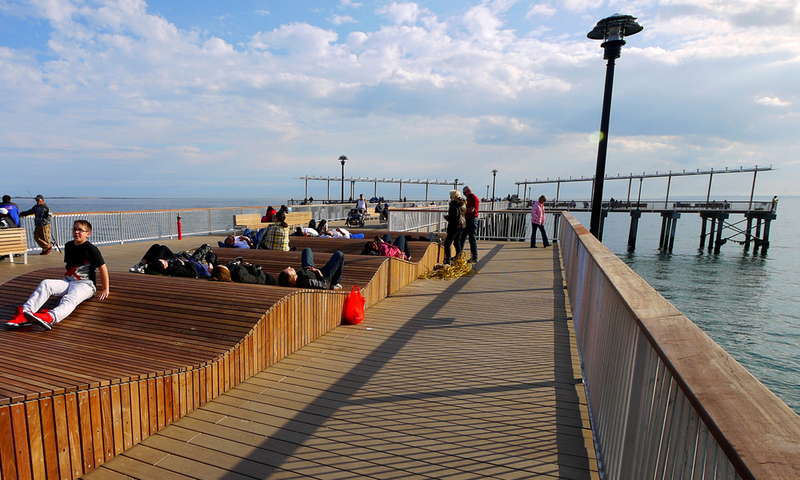 A communal wave-shaped bench, providing a collective surface for lounging. 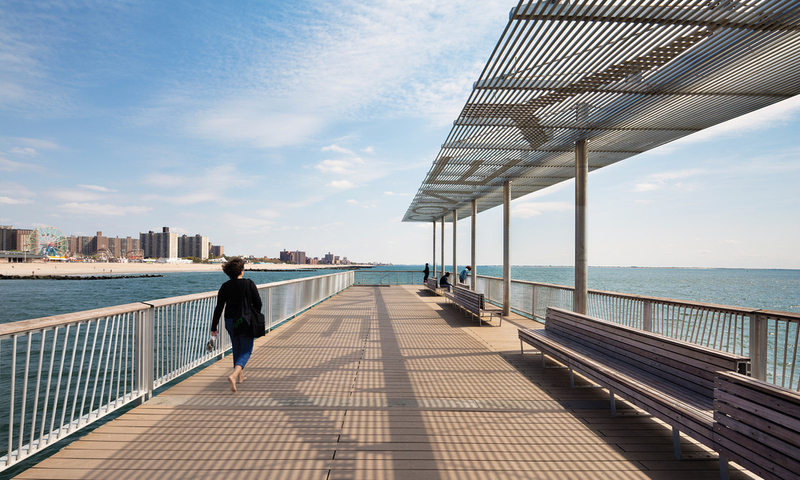 A shade canopy marking the crossing point of the pier, with the words "CONEY ISLAND" spelled out by series of tabs welded into the shade system, on sunny days casting the name in shadow on the deck. 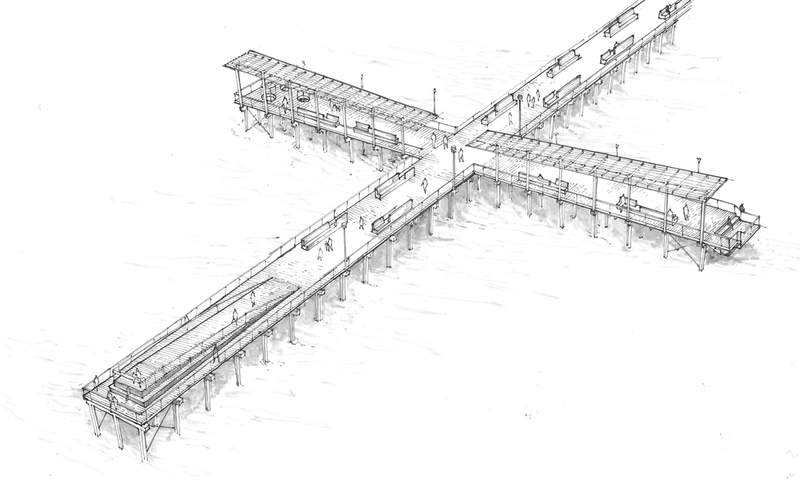 An elevated observation platform at the end of the pier, providing an uninterrupted vista to the horizon beyond, while facilitating pedestrian circulation. 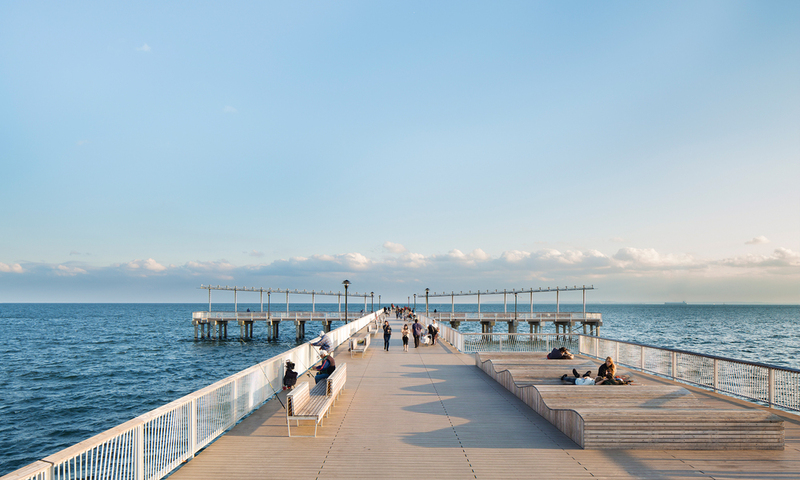 An oculus located in the deck at one of the sides of the pier, and a drop-down seating area at the other, creating distinct ways of engaging the water. 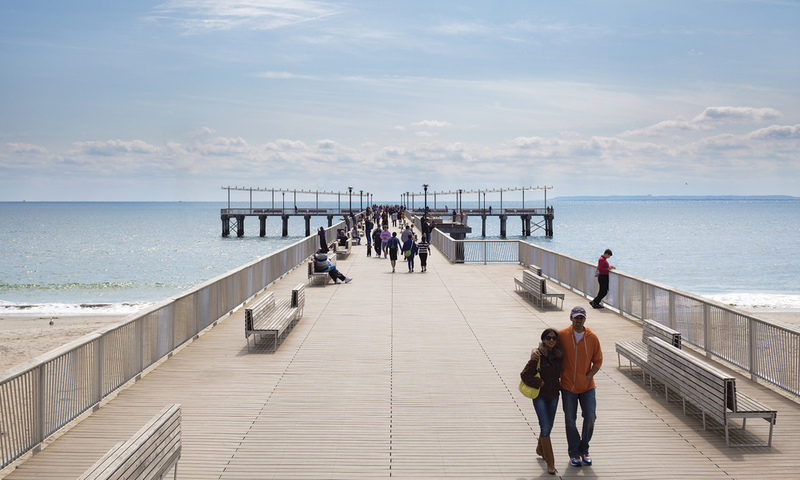 A new guardrail system with custom angled posts that catch and reflect sunlight.